I'm gonna be honest, I'm not a big fan of that whole "Boho Chic" look but when I saw this top I immediately visualized a variety of ways I can pull this off without looking like a hippie. No offense but that whole look isn't for me hehe. I added a little skinny belt to my blouse to make it look more cinched to my waist because I just wasn't feeling that loose look. 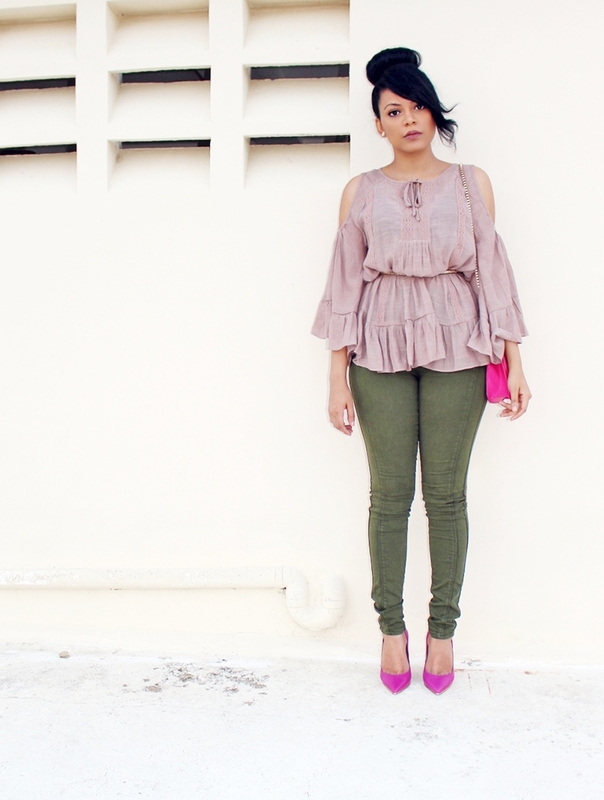 Would you try a peasant blouse?